The City of Peekskill has a population of more than 23,000 (2010 U.S. Census) and is located approximately 50 miles north of New York City. Its roots began in 1609 when explorer Henry Hudson, captain of the Half Moon, anchored off present day Peekskill. The first mate noted in the ship's log that it was, indeed, “a very pleasant place to build a town.” And that is exactly what happened in the years that followed. By the time of the American Revolution, the tiny community was already an important mill and manufacturing center. These activities convinced the Continental Army to establish its military headquarters here in 1776, long before its West Point military encampment. The mills of Peek's Creek provided gunpowder, leather, planks and flour. Slaughterhouses provided a food supply. The riverfront allowed transport of soldiers and supplies to other garrisons built to prevent British naval passage between Albany and New York City. The first iron-link chain was run between Bear Mountain and Anthony's Nose in the spring of 1777. Peekskill's strategic terrain and industry benefited the Patriot cause, and so became tempting targets for British attacks. The worst took place in early spring of 1777, when a force of a dozen vessels overran the American defenders. A British raid in October of 1777 further damaged Peekskill’s industrial status. As a result, the Hudson Valley command for the Continental Army moved to West Point, where it remained for the rest of that war. By the 1800’s, Peekskill was an established industrial center, known for its iron plows and stoves, plus other manufacturing products. 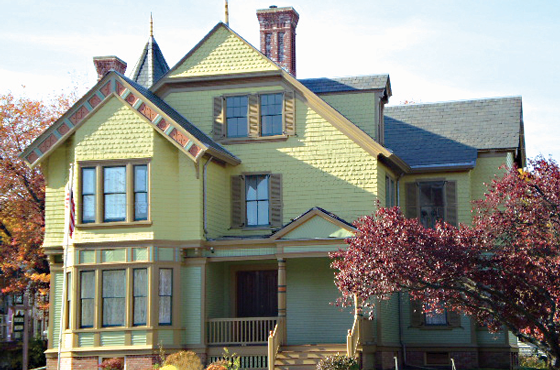 The Binney & Smith Company, now makers of Crayola products, began as the Peekskill Chemical Company in 1864. Peekskill's manufacturing base thrived into the late 20th Century, with the Fleischmann Company making yeast by-products under the Standard Brands corporate name. Today, the City of Peekskill is home to major corporate endeavors, a flourishing cultural community, a great restaurant scene, and revitalized riverfront. It continues to be a strategic location for both commercial and residential development, providing a picturesque commute along the Hudson to New York City where many of its residents are employed. Croton-on-Hudson has a population 8,070 residents (2010 U.S. Census) and was formally incorporated as a village in the Town of Cortlandt in 1898, although its colonial-era history dates to the 17th Century, while archaeological evidence shows Native Americans lived there as early as 4950 BC. In the years following Henry Hudson’s arrival, the land that became Croton-on-Hudson was purchased by Dutch settlers from the Kitchawank Indians. In 1677, Stephanus Van Cortlandt, who later became the first native-born mayor of New York City, began acquiring land to build his manor. In 1697, a Royal Patent was issued designating the estate as the Manor of Cortlandt. The Village of Croton-on-Hudson thus evolved as an enclave of the Van Cortlandt Manor. Originally known as Croton Landing, its early Dutch residents were involved with agriculture and trade. A 1718 census counted 91 inhabitants in the manor, including Dutch settlers and English Quakers. By the 1800s, farming, river commerce, ship building, flour mills, and brickmaking were established industries. Ambitious projects including the railroad, the Croton and New Croton Dams, and the New Croton Aqueduct were undertaken. These major public works projects fueled Croton-on-Hudson’s growth and cemented its importance in the region, and brought an influx of German, Irish and Italian immigrants who came to work and settle with their families. The population of the village and the surrounding areas increased, so by the time of its incorporation in 1898, the village had 1,000 residents, and grew to more than 1,700 by the early 1900s. The advent of the railroad served as an economic engine for all of northern Westchester. Construction of a rail line from Croton-on-Hudson to Poughkeepsie began in 1846 when merchants advocated for a link from New York City to their city up north. In 1903, electric trains began operating from Grand Central Terminal as construction began on a steam terminal at Croton Point, where trains would switch over from electric to steam power to continue the trip north. Most of the land for the terminal was purchased from Clifford Harmon, a real estate developer. He stipulated in the deed that the station on Croton Point must always bear his name. Hence, the Croton-Harmon Station. The steam terminal was completed in 1913. It soon became a destination for metropolitan area travelers. A shopping district developed, creating a railroad village that became a focal point and source of employment. With the goal of developing a rural enclave for artists, writers and musicians, a playhouse was built on Truesdale Drive. The new Nikko Inn became a fashionable place for stage and government notables. Both are now private residences. Poet Edna St. Vincent Millay and actress Gloria Swanson both resided in Croton-on-Hudson. Elizabeth Duncan, sister of Isadora Duncan, founded a dance school. Politically, many high profile members of the American Communist party lived and organized in the area. By the 1920s, as the railroad expanded its services, Harmon had become a residential neighborhood for railroad workers and commuters to New York City. In 1932, Mount Airy and Harmon, were incorporated into the Village. Each area had a distinct identity that contributed to the cultural richness of the community. Today, the Village of Croton-on-Hudson has developed into an intimate and still thriving residential and cultural community, with easy access to surrounding centers of commerce, culture, and natural interest. The Town of Cortlandt, New York, with an overall population of over 42,000 people as of the 2010 U.S. Census is located in the northwestern corner of Westchester County. The Town is bounded on the west by the Hudson River, the north by Putnam County, the east by the Town of Yorktown and on the south by the Towns of New Castle and Ossining. Cortlandt also includes two incorporated villages, Croton-on-Hudson and Buchanan, and several hamlets including Montrose, Crugers and Verplanck. In 1609 Henry Hudson sailed up what is now the Hudson River and anchored at what became Verplanck’s Point. When Europeans settled the region in the early 17th Century, the Cortlandt area was regarded as Kitchawanc Indian territory. In 1677, Stephanus Van Cortlandt acquired a patent for 86,000 acres in this area. The Van Cortlandt family, from which the town gained its name, continued to acquire land from the Croton River north to Anthony’s Nose, and east to what is now Connecticut. The town’s local roads, including Watch Hill and Furnace Dock Road, bear names reflecting Revolutionary War period, when many skirmishes occurred in the area. In 1788 the Town of Cortlandt in the State of New York was established. In During the 1800s and into the 20th Century, Cortlandt grew even more developed as large estates were sub-divided and connected to surrounding areas by highways, trolley lines and electric train service. Cortlandt originally included Peekskill as a village, but in 1940 Peekskill separated from the town and became an incorporated city which it remains today. Throughout the 1900s, and into the 21st Century, the Town of Cortlandt has continued to grow and prosper from decade to decade to become the thriving commercial and residential community it is today. Buchanan is a village located within the Town of Cortlandt. Approximately 2,200 residents live within Buchanan’s one-and-one-half square mile area. The community is governed by a Mayor and four members of the Village Board, each of whom serve a two-year term. 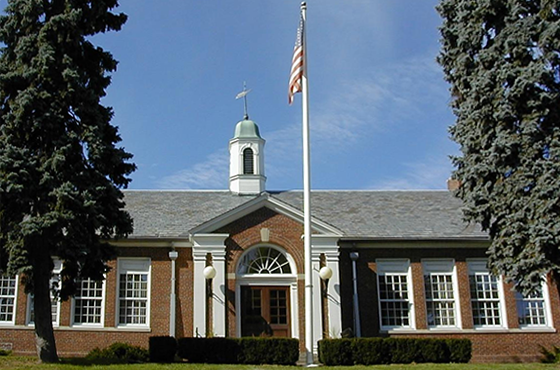 The Buchanan Village Hall and adjacent Monroe Park are located near Village Circle, located just off Route 9A. Although Buchanan is one of the area’s smallest villages, it takes great pride in the range of services it provides, which include its own police and fire departments. The Buchanan Recreation Department offers a summer day camp for children, as well as a senior services and activities. Recreational opportunities includes a village pool and areas including Lent’s Cove, and Veterans Pavilion. 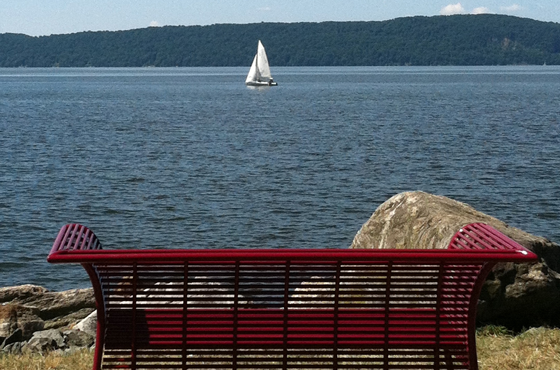 Tropiano Trail, located in Lent’s Cove Park, provides scenic walking paths along the Hudson River, plus a convenient boat launch. For details, contact the Recreation Department via email. The area was originally inhabited by the Kitchawonke Indians. Stephanus Van Cortlandt purchased 1000 acres from the tribe in 1683. In 1789 the Hamlet was known as East Haverstraw and in 1848 the railroad built a station which was later moved to Montrose. In 1860 a tannery was opened, which was purchased in 1872 by Alexander Buchanan, enlarged, and became one of the largest oilcloth plants in the country, ultimately employing nearly 400 people. At the time the hamlet was then named Centerville, until it was finally changed to Buchanan in 1890, honoring George Buchanan, the first postmaster. On June 19, 1928 when the Village was formally created it was named after the Buchanan family to recognize the great contribution they made over the years. During the ‘20s, Indian Point on the Hudson River was an amusement park. It was owned by the Hudson River Day Line, which transported tourists from New York City to the park for a day’s outing. In 1954 the property was purchased by the Consolidated Edison Company to build what is now the Entergy Nuclear Generating Station, which today is the Village’s most prominent industry, and a mainstay of the regional power grid. Rich in history and amenities, visitors and residents enjoy a thriving shopping district, parks, recreational facilities and more in our friendly little village on the Hudson. Before Europeans settled in the present day Town of Putnam Valley, the people who lived here belonged to the Canopus group of the Nochpeem band of the "Wappinger Indian Confederacy.” As part of the Mohican nation, they spoke the “Algonkian” language. By around 1600, an estimated 4,700 members of this confederacy were spread over an area from what is now Manhattan to Poughkeepsie, along the Hudson River and eastward towards what is now Connecticut. The first colonists followed these footpaths created by these Native Americans, usually along stream valleys. Over time, they became known as Peekskill Hollow, Canopus Hollow and Oscawana Lake roads. Settlements were usually positioned on the side hill, facing south, and within easy access to water. One of the largest villages in the entire region is thought to have been in the hollow at Canopus Hill. Others might have been located at Roaring Brook, Tompkins Corners and Adams Corners. In 1683, one "Oskewana" sold a tract of land to the Van Cortlandt family. In 1697, Adolph Philipse was granted a patent for a large tract called the Highland Patent, which became Putnam Valley County. In 1717, this became the South Ward of Dutchess County, one of the original twelve counties in New York established in 1683. The tract passed through the Philipse family was divided into lots in 1751. Lot #4 was left to Colonel Beverly and Susannah Philipse Robinson. But, because of their support for the British during the Revolution, the State of New York confiscated their property in 1779. Most was then sold in 1781 to tenant farmers already living in the area. In 1812 Putnam County was separated from Dutchess County. 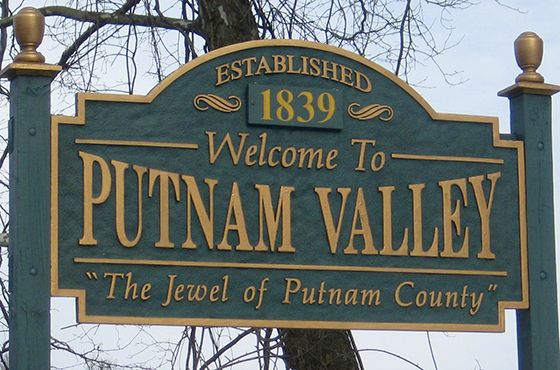 The area that became Putnam Valley was originally part of Philipstown, established in 1788. 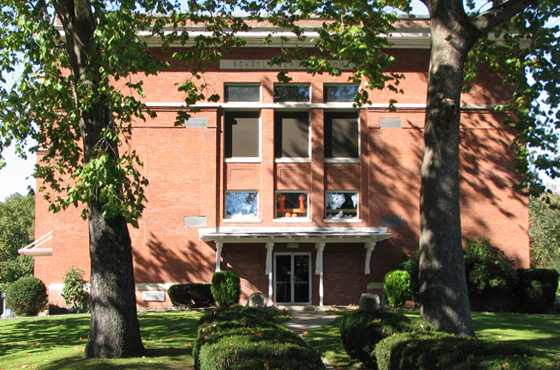 On March 14, 1839, the independent town of Quincy was incorporated. A small section of the Town of Carmel, which lay northwest of Peekskill Hollow Creek and east of what is now the Taconic State Parkway, was annexed to Putnam Valley on April 13, 1861.